When I was a little girl it was a treat when my mom would pick up pomegranate’s at the grocery store for all of us to eat. There was something magical about slicing open this red orb only to find 100s (actually about 600) of tiny little juice filled ruby arils (seeds). One by one we would take them out to nibble on as an afternoon snack. Those were the days! I still love pomegranate’s and while I still find it fun to individually pick the arils from the fruit, now you can purchase them in bags and the juice in bottles. Many of the benefits of fruits and vegetables are attributable to their rich antioxidant content, which comes from vitamins and other unique plant phytochemicals. Pomegranates provide a number of important nutrients including vitamin K, potassium and a variety of pomegranate polyphenols, making them an important part of a healthy and balanced diet. Pomegranate juice contains powerful antioxidants: Polyphenol antioxidants that help protect the body against “free radicals” – unstable molecules that cause damage to our bodies over time. Polyphenol antioxidants in pomegranate juice include punicalagin, a polyphenol unique to pomegranates and anthocyanins, which is responsible for giving pomegranate juice its rich red color (Anthocyanins have anti-inflammatory, antiviral and antimicrobial properties.). Pomegranates are also a good source of Potassium. With this heart-healthy juice you can create pomegranate molasses; a rich, thick, syrup that can be used for cooking, making sauces plus a myriad of dishes both savory and sweet. While a 10 ounce bottle can cost as much as $25 in the store, you can easily make your own in just one hour for a fraction of the cost. 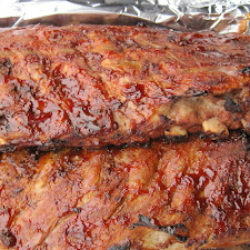 Try this simple recipe at home today. Then over the next week I’ll share some recipes you might enjoy using your freshly made pomegranate molasses in. Combine all ingredients into a saucepan and bring to a boil. Stir to dissolve the sugar. Reduce heat and allow to simmer until liquid has reduced by 1/2 and has thickened. When you insert a spoon the molasses will coat the back of the spoon. Remove from stove and allow to cool completely. While the pomegranate molasses cools it will thicken much more. Once cool place pomegranate molasses into a jar covered with a tight fitting lid. Store in the refrigerator for up to 6 months. Note: You can easily double this recipe using a larger POM Wonderful bottle. I prefer to use the 16 oz. bottle so I can use it up before it goes bad. Sounds so delicious – love that you can make this at home!! I had no idea! It’s so easy to make and so inexpensive compared to purchasing the already made bottles. Pomegranate molasses is nearly impossible to find around here. I’m so glad you shared this simple recipe! Seriously I’m surprised you can’t find it where you are. Well now you can make it. It’s so easy, plus it’s heart-healthy and will make your dishes pop! Pom molasses is such good stuff, isn’t it? I make it sometimes (in fact have some in the refrigerator right now — although it’s about a year old, so who knows what condition it’s in?). And much cheaper to; make your own than it is to buy! I agree. I love the POM brand. I drink it straight up! You don’t find pomegranate moIasses over here. This looks like an easy recipe to make my own. Thanks, Vicki! I think you’ll enjoy it Angie. You can adjust the sweetness to your taste. I haven’t tried it with Agave or some of the other natural sweeteners but I’m sure it would be just as good. It adds such a nice depth of flavor to dishes. I hope you’ll try it. Yes it is on both counts. I hope you’ll try it. I have never seen pomegranate molasses but I am trying to imagine some cookies with this as the base ingredient and it would be incredible! Hmm that sounds interesting. I would love to see that recipe when you come up with it. 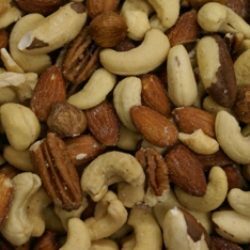 A heart-healthy cookie is something we’d all like to try! 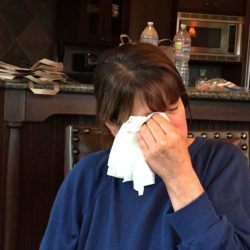 I have the same memory of my mother bringing home a fresh pomegranate, Vicki. It was a very special treat and seemed like they tasted even better back then 🙂 I’d love to try making some pomegranate molasses. I see it used in some wonderful recipes. Funny how some things never leave our memories! 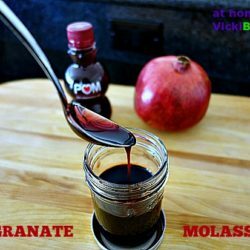 There are a number of fantastic recipes using pomegranate molasses for savory to sweet. I’d love to see one of yours if you try this. 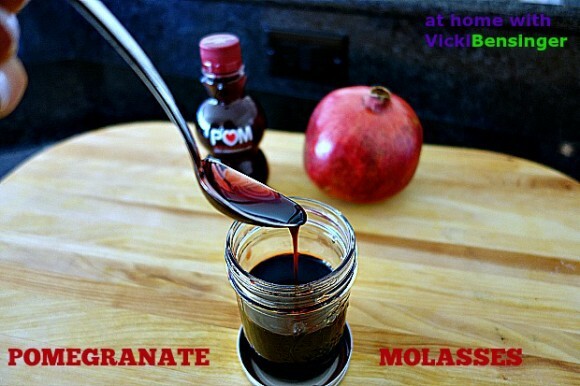 I have always wondered about pomegranate molasses – thanks so much for sharing this recipe! You’re welcome. I hope you’ll give it a try. 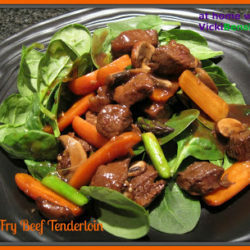 It’s wonderful in so many savory and sweet dishes plus it’s heart-healthy and easy to make.